As human technology develops, the way our gadgetry operates grows steadily less accessible to laypeople. Before the industrial revolution, it was relatively easy to understand how most human tools worked. Hammers hammer, hoes hoe, plows plow. As we’ve industrialized, we’ve begun to rely on more complicated scientific principles. Chemistry, electricity, non-Newtonian physics, computing, these things all grow steadily more important, yet only a very small portion of the population truly understands how any portion of these things operate, much less all of them. The rest of us live largely in the dark, and this has a curious effect–we increasingly blur the conceptual distinction between science and magic. On some level, this is an effort to glorify scientists and engineers, by comparing them to wizards (and Gandalf is a very impressive wizard). Scientists and engineers should be so gloried–their breakthroughs make our society more productive and move us closer to a post-scarcity world. But this conflation of scientists and wizards also has a pernicious effect–because it seems as though our technology can do anything, we sometimes fail to recognize its limits. We persuade ourselves that if we throw enough money at science and enough young people into universities, we will be able to tech our way out of very difficult problems. 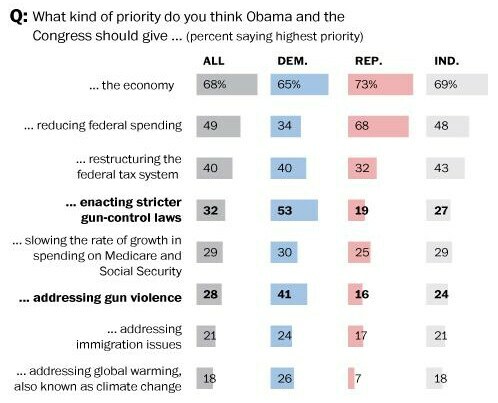 Many of the issues that receive higher priority are important, albeit peripheral (e.g. immigration and gun control). They affect people severely, but the number of people affected severely is small relative to global warming. Others are largely politically manufactured, like the push to reduce federal spending despite low government borrowing costs and weak economic growth. In the episode of Futurama, the giant ice cube is a kind of “technology ex machina”, a last minute, cheap, affordable solution to a very serious problem. Americans are expecting some brilliant person–let’s call him “Science Gandalf”–to come along and bail us out at the last minute with a hat full of magical technological quick fixes. If we just send enough people to college and create enough scientists and engineers, one of them will turn out to be Science Gandalf, and then happy days will be here again. The trouble is that if we ask the scientists and engineers, the people who actually know how our technology works and how difficult it is to develop, they are not at all confident that such solutions exist or can be implemented in time. They know science isn’t magic, that we can’t pull new technologies out of our proverbial hats. There’s no such thing as “Science Gandalf”. This is not to say that we shouldn’t invest in science and technology–when there are breakthroughs, they are tremendous–but we cannot rely on scientists to produce a steady stream of timely breakthroughs. We’ve got to go after the problem from the emissions side, and that means taking advantage of existing technology (e.g. electrifying a lot of our tools and generating that electricity in clean, sustainable ways). Moreover, we’ve got to get other countries engaged in similar policies, because otherwise reductions in domestic emissions only serve to enable increases in other parts of the world. Science Gandalf cannot be relied upon to come along with a giant ice cube, or cheap, affordable sea walls. But because so many of us no longer really understand in any meaningful sense how our phones, computers, and even our cars work, we have a tendency to forget the physical constraints that scientists and engineers have carefully worked around in their creation. We fail to appreciate the difficulties and underestimate the hardships. The result is a kind of modern quasi-scientific mysticism. The ease with which we communicate to people on the other side of the world in the age of mobile phones and computers makes it seem as though anything is possible, and this fuels belief in things that are not scientific at all. There’s no reason to believe that vaccines are bad for children, or that every genetically modified food without exception has been modified so as to make it less healthy than it otherwise would be, or that water has feelings. While we may not understand how things work, we have to remember that there is an explanation, that this explanation syncs up with a system of natural laws and scientific principles that cannot be transcended but only worked within. You and I may not know the details of that explanation in every case, but we can remember that the explanation exists and that real people have been discovering that explanation over generations. There’s no telling how long it will take before that explanation is refined, improved, or replaced with something better. Indeed, there’s no guarantee that this will happen at all. Technology does not progress of its own accord. Real people have to do it, and it requires that these people devote their lives to careful study of things the rest of us have only a passing familiarity with. When these people tell us that global warming is very serious and that even they are not confident there will be cheap, easy solutions available in time, we need to take that seriously. We need to stop waiting for Science Gandalf. He’s not coming.